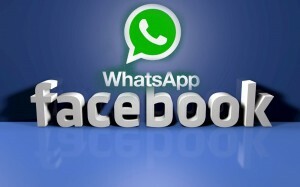 The Federal Trade Commission (FTC) has approved Facebook’s $19 billion acquisition of messaging service WhatsApp. At the same time however, Bureau of Consumer Protection Director Jessica Rich sent letters to both companies stating that WhatsApp’s privacy policies must remain intact. Before any changes can be made in regards to the way that WhatsApp user data is used, the consumers must provide informed consent. Rich’s letter addresses the concerns that had been put forth by numerous privacy organizations and even some users who feel that Facebook purchased WhatsApp with the intention of exploiting some user data. Shortly after the acquisition was first announced, the Electronic Privacy Information Center and Center for Digital Democracy informed the FTC of their concerns, many of which dealt with the same issues that Rich has now addressed. If either of the companies do not uphold this “agreement”, they could be in violation of Section 5 of the FTC Act, said Rich. Given the size of the deal, it is obvious that Facebook truly wants control of WhatsApp, yet the messaging service’s lack of revenue has brought to light the potential for an ulterior motive.